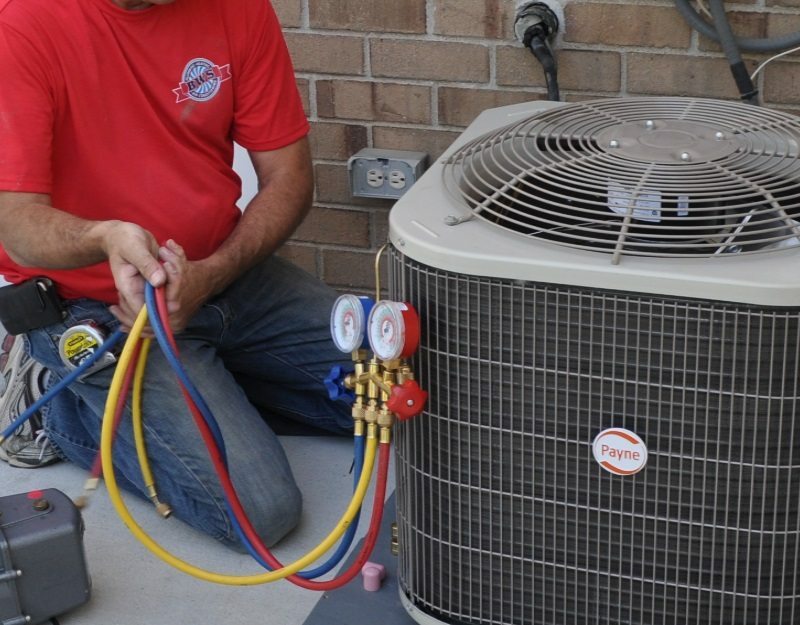 Most air conditioners use one of two types of refrigerant: R-22 or R-410A. I've never paid any attention to this detail while inspecting houses because it didn't make much difference, but that's all starting to change. The price of this refrigerant is starting to skyrocket, and unlike gasoline prices, I don't expect the price to fluctuate. It's just going to keep going up. In short, R-22 is becoming scarce because the US has agreed to phase out the production, import, and use of this refrigerant because of it's damaging effect on the ozone layer. This has driven up the price and will continue to do so. By the year 2020, this refrigerant will no longer be imported or produced. To know which type of refrigerant your air conditioner uses, take a look at the label on the compressor unit outside. It'll clearly tell you which type of refrigerant the unit uses. The newer type is R-410A, and the older type that I've been talking about is R-22, also identified as HCFC-22. If you have an air conditioner that uses R-22, hire an HVAC contractor to do a tune-up on your system and make sure your system doesn't have any small leaks. If there are leaks, have them fixed. This will help to reduce future costs and will help to prolong the life of your system.